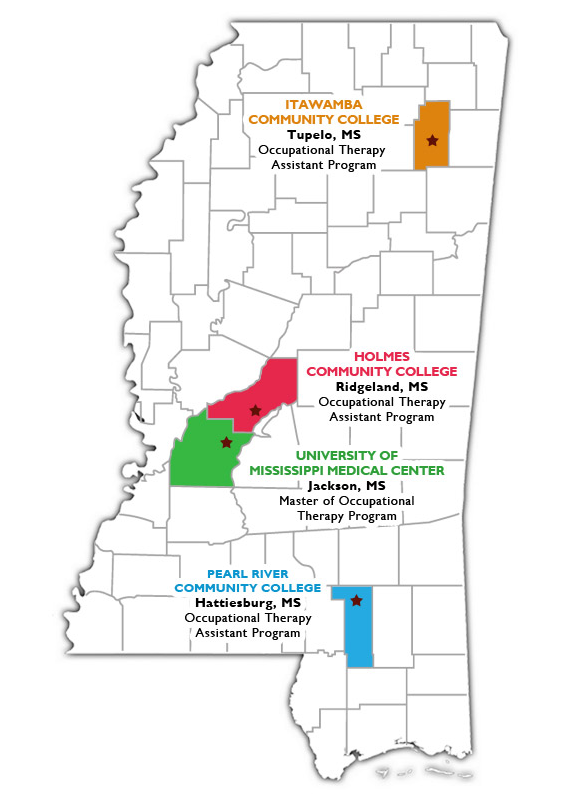 Within Mississippi, there are four programs offering degrees in occupational therapy. The profession of occupational therapy offers two entry level degree options. The Master of Occupational Therapy degree is offered for individuals interested in becoming occupational therapists. An associate degree is also offered for individuals interested in becoming occupational therapy assistants. Professionals at both levels are required to pass a national board exam and obtain a license to practice occupational therapy in Mississippi.